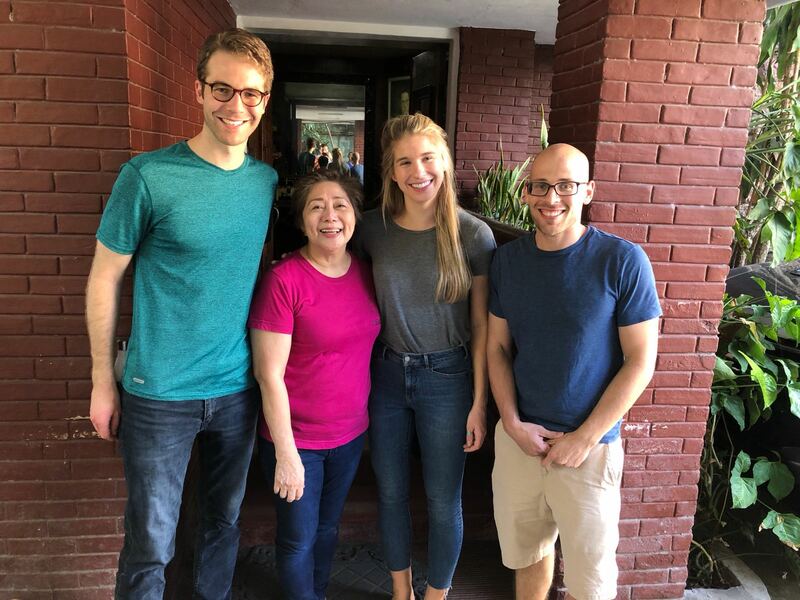 This January, 11 Fordham IPED graduate students and one Economics undergraduate student participated in the Philippines Project Assessment Program. 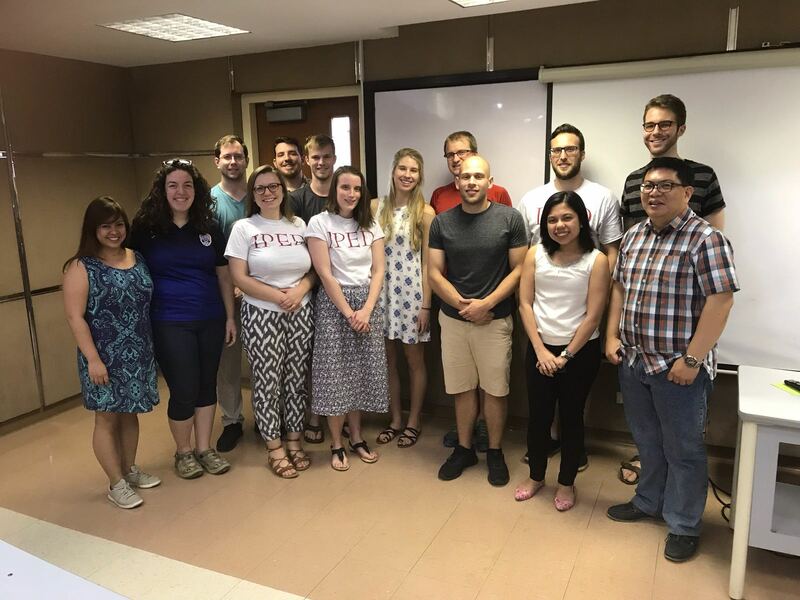 At Ateneo de Manila University, students engaged in coursework on project monitoring and evaluation and Filipino culture. The program also included a four day immersion, where students conducted project evaluations of local Marine Protected Areas and affiliated projects in the La Union province, in the north of the Philippines. 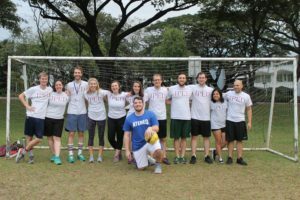 Soccer matches and ultimate frisbee kept this group moving and bonding! Dr. Ang (front right), a professor at Ateneo University, taught the group Filipino Economics. IPED students exploring Katipunan Avenue, outside of Ateneo University. 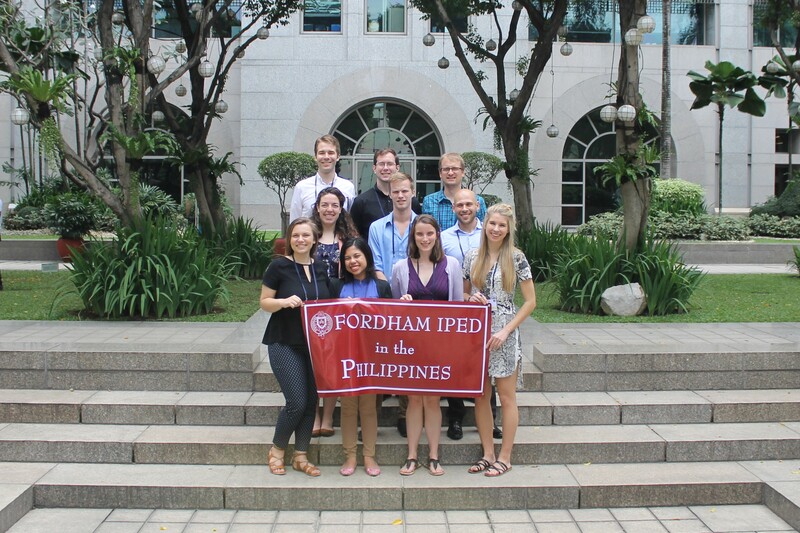 Alumni of the Fordham IPED program gathered with current students for an Alumni lunch. 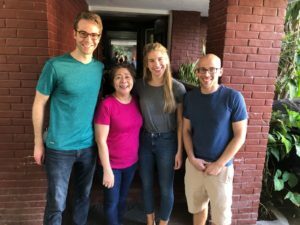 Some alumni work at various NGOs, such as Catholic Relief Services and UNICEF, in the Philippines and others work at Ateneo University. IPED students past and present gather for a meal. 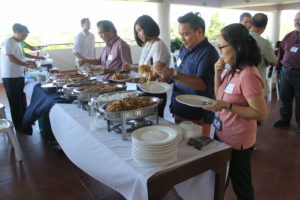 The IPED community enjoyed Filipino dishes at the rooftop alumni lunch. 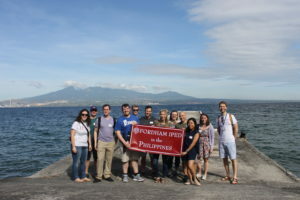 Students explored the Philippines and its rich history through various cultural trips. 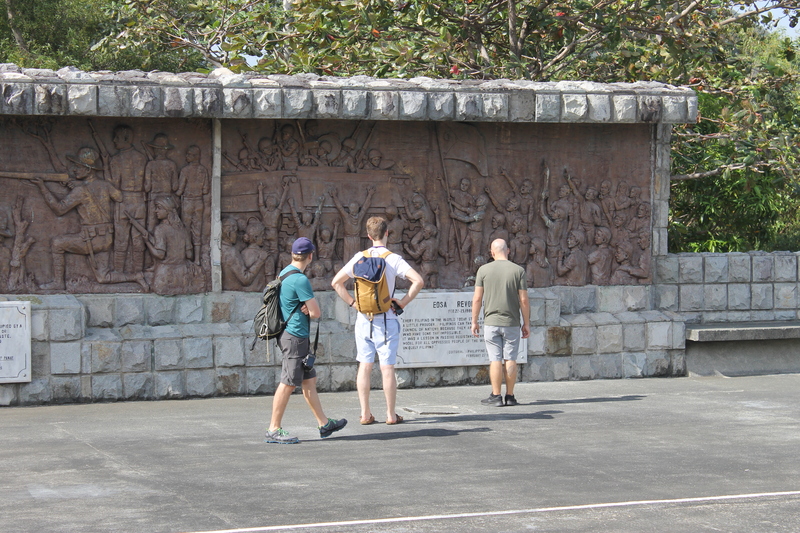 Because of its strategic location, Corregidor Island has been important in the defense of the Manila Bay and seaport for centuries. 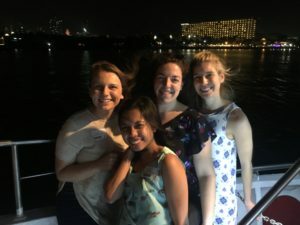 Today the uninhabited island is full of World War II ruins and memorials, commemorating the Filipino, American, and Japanese soldiers who died there. 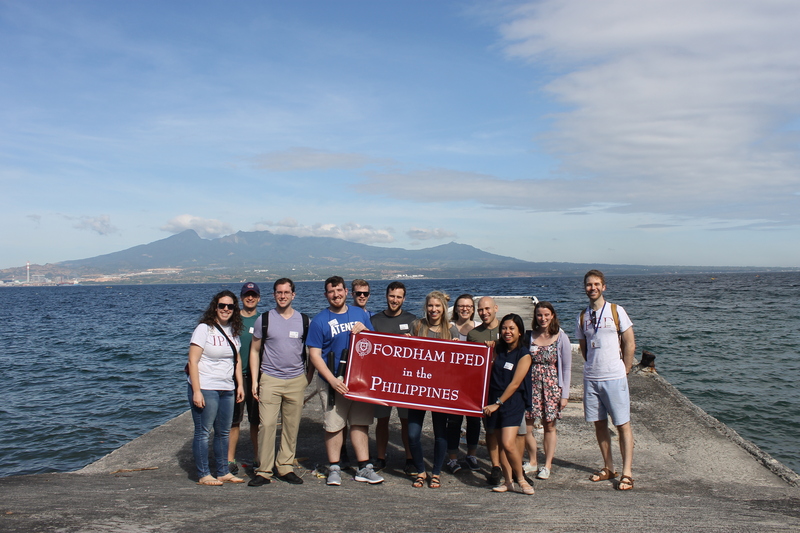 IPED students at Corregidor Island. 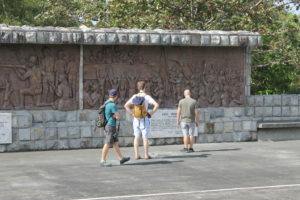 Students learning about Filipino history at the Filipino War Memorial Wall. 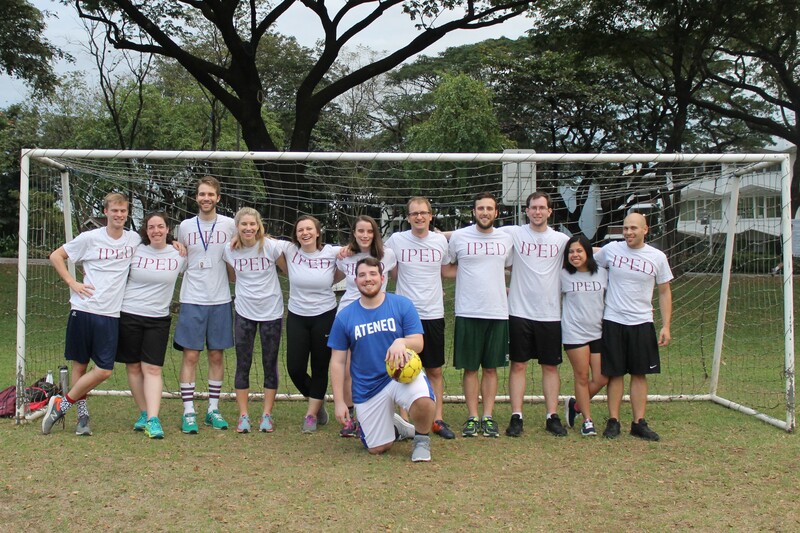 Intramuros is a historical, Spanish colonial area walled-off inside the capitol city of Manila. 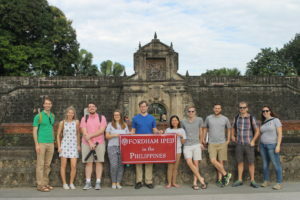 The students explored Fort Santiago, where there is a shrine to national hero Dr. Jose Rizal. They also visited a functioning Augustinian monastery. IPED students at Fort Santiago. 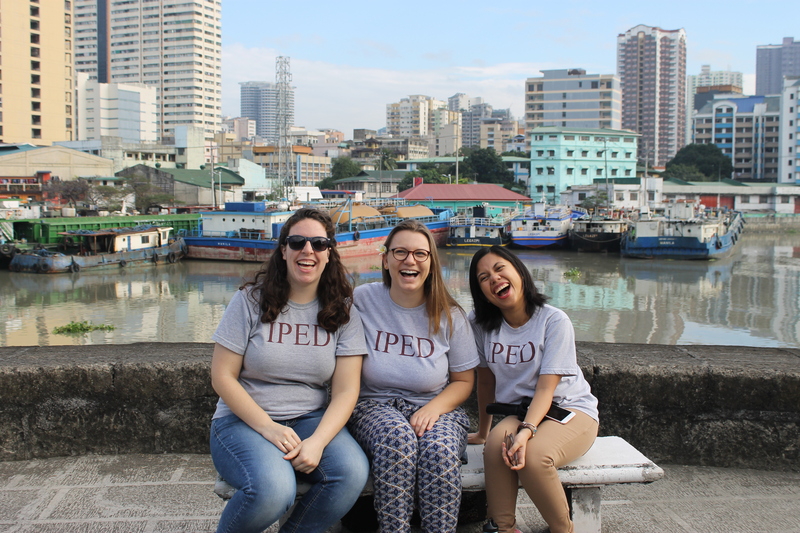 IPED students near the Pasig River. 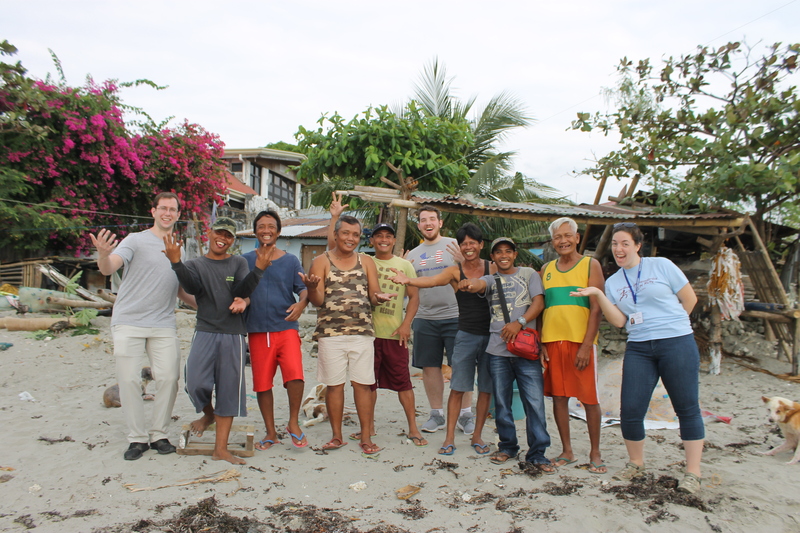 Students engaged in a four-day project assessment of various Marine Protected Areas (MPAs) in the La Union province. 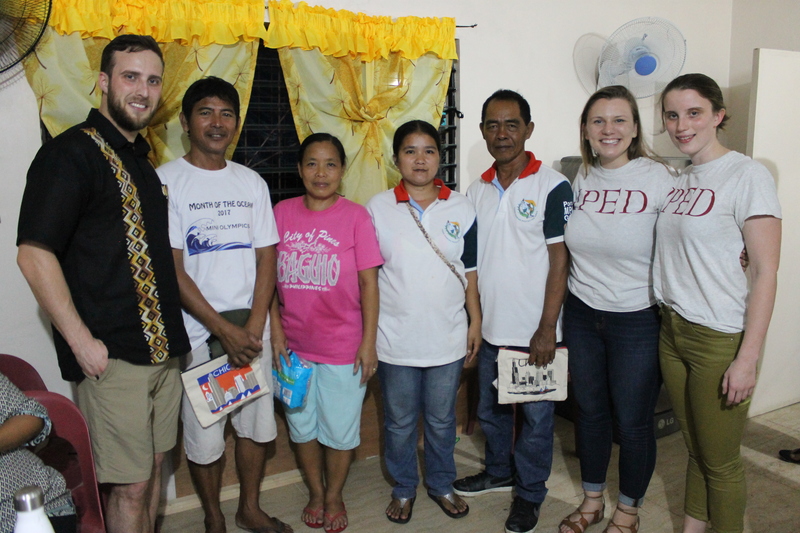 In teams of three, they conducted interviews and focus group discussions in various barangays, or villages. One group assessed an affiliated project, the Luto ti Poro catering service managed by the Poro Sea Lovers Association (PSLA). 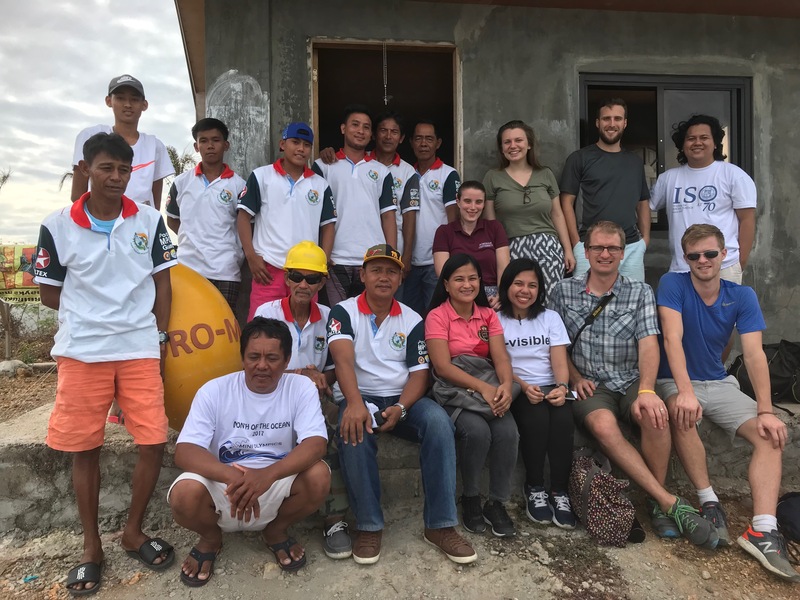 The immersion was facilitated by the Institute for Social Order (ISO) and the Ateneo Office for Social Concern and Involvement (OSCI). 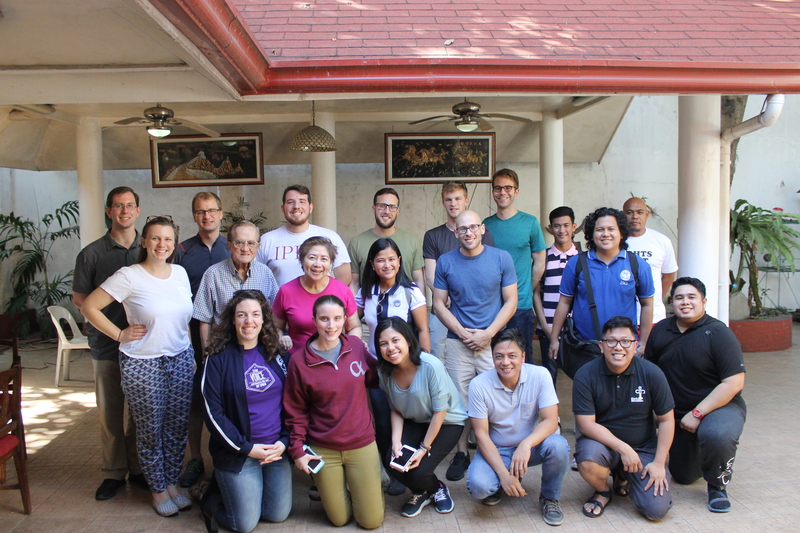 Upon arriving to San Fernando City, the group was hosted for a lunch by former Mayor Mary Jane Ortega at her home. 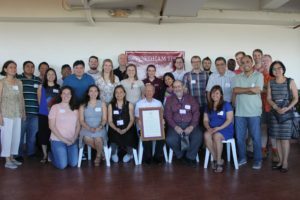 Students with former Mayor Mary Jane Ortega. Students and volunteers who patrol the Lingsat MPA. Students with the PSLA volunteers. 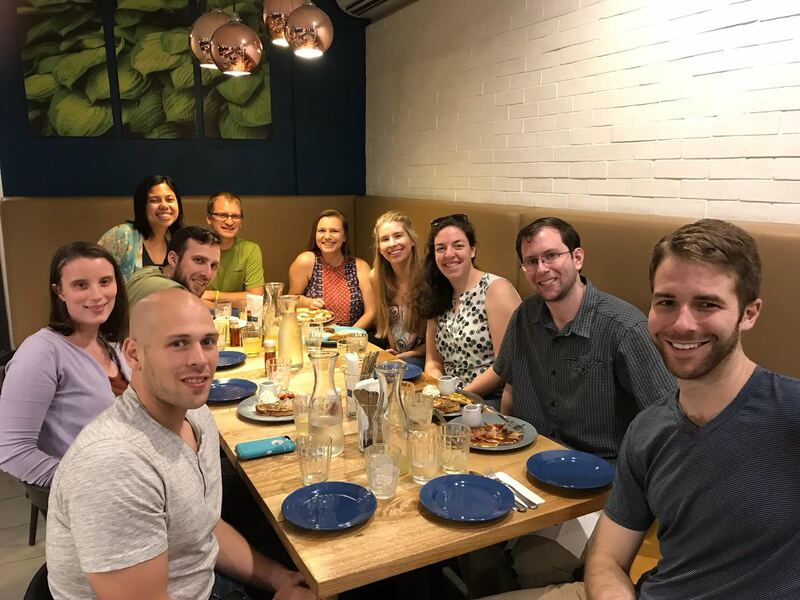 IPED students with PSLA Council Members. 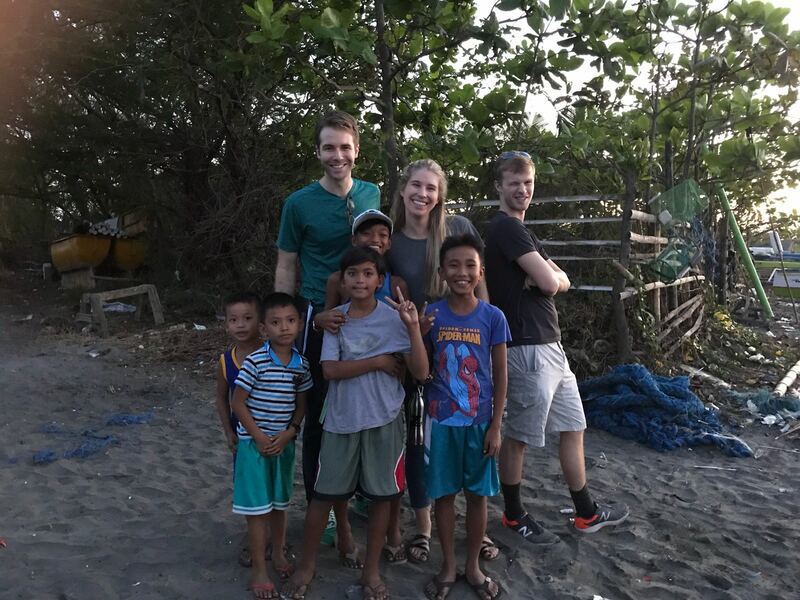 Students with children from the Poro community. Upon returning back to Manila, students spent the day at the Asian Development Bank (ADB). 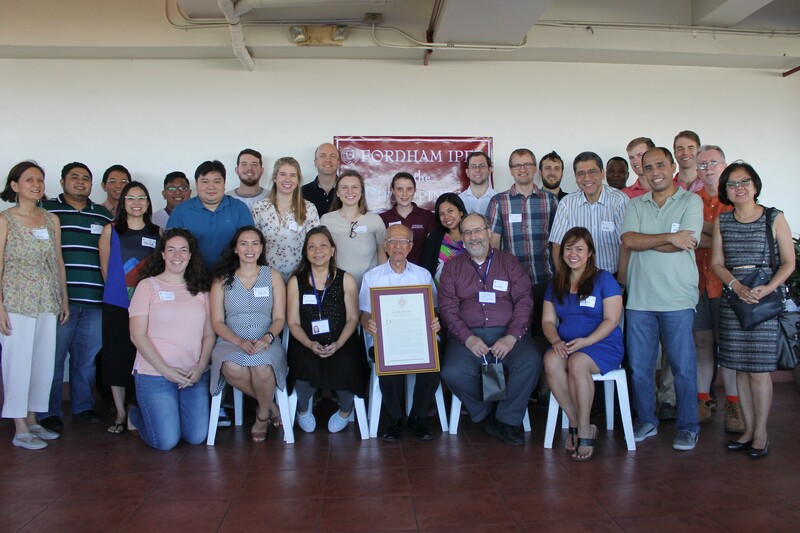 Experts presented on various economic development topics including climate finance. 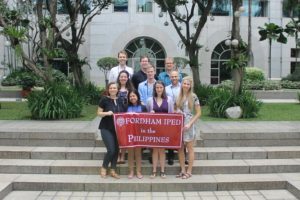 Fordham IPED students at the Asian Development Bank. After presenting their findings, students celebrated along with Program Director, Dr. Henry Schwalbenberg, Program Manager, Ms. Donna Orda, and IPED Alumna Bea Lumanas ’13, on a dinner cruise on the Manila Bay. 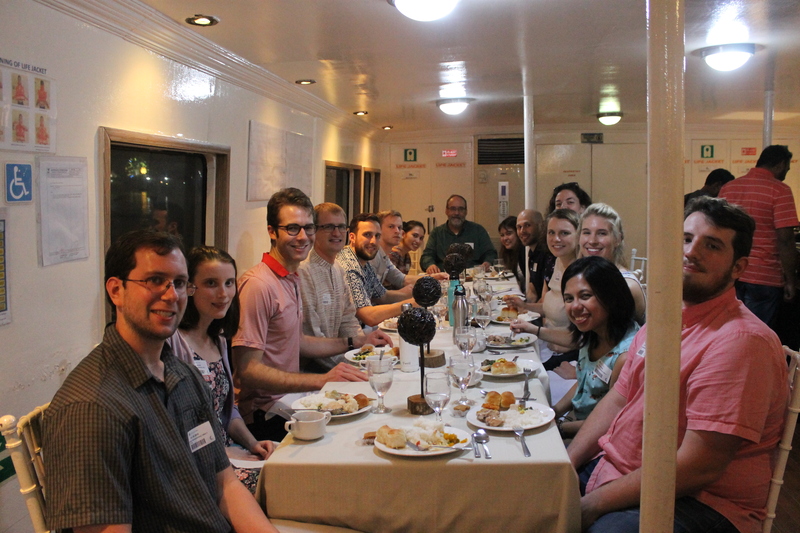 IPED community celebrating on a dinner cruise. IPED students on the Manila Bay dinner cruise.